Josh’s humble beginnings as a DJ began in the late 1990’s with two portable CD players, a borrowed speaker system, five discs of songs he’d burned off Napster, and a scope of knowledge that amounted to just one rule: “Don’t let the music stop!” But even with only that much, Josh was able to provide memorable events for his friends and family, entertaining at several wedding receptions and holiday parties. 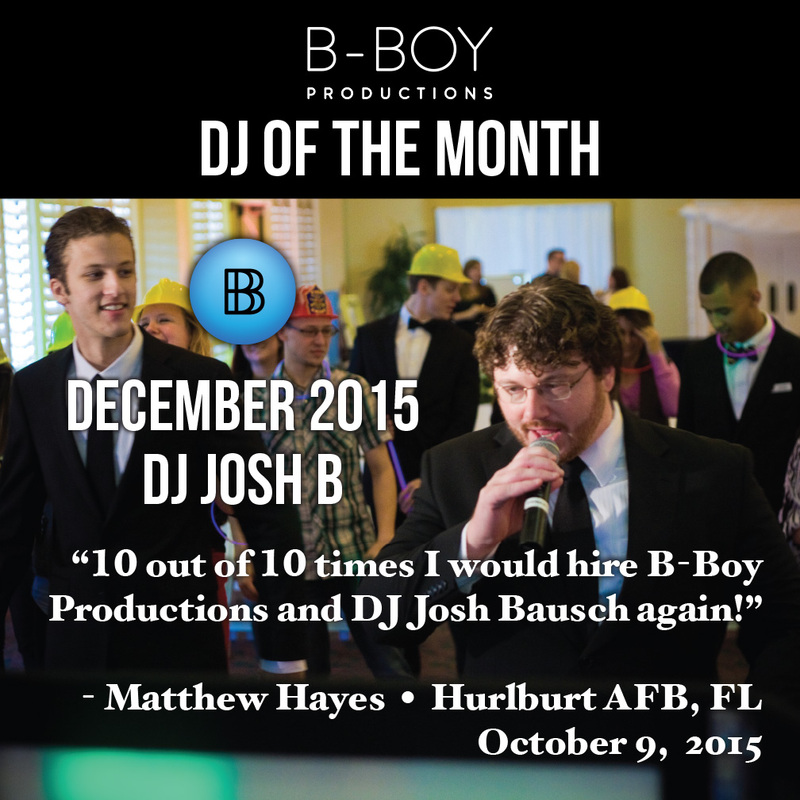 Attendees of his events always encouraged Josh to pursue DJ-ing more professionally — and in 2013, when opportunity arose to join with B-Boy Productions, that’s exactly what he did. Hailed for his polished vocal presence and engaging personality on the microphone, Josh’s abilities as a master-of-ceremonies combine with his experienced DJ skills to make a “full package” entertainer. 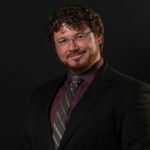 Add to that his attention to detail, cool-headed demeanor, and a genuine desire to make your celebration everything you want it to be — and you’ve got one time-tested event professional who’s ready to help you make some great memories! Morning Person or Night Owl? Night owl, all the way! If I’m awake at 5 a.m., it’s because I never went to bed. Typical Starbucks Order? Iced Mocha Espresso with Non-Fat Mocha Milk plus a Mocha Espresso shot of Mocha. No Whip. With Mocha. Social Media Platform of Choice? Vine! … or Facebook. Band or Artists Josh is Diggin’ Right Now? I like seeing how music producers like Mark Ronson, Pharrell Williams, Calvin Harris, and David Guetta are starting to be more recognized as artists — instead of just the singers always getting the glory. Josh’s Go-To Party Tracks? I love mixing in classics like “Boogie Shoes” and “Brick House” and “Shout” … Or from the music of my time, “This Is How We Do It” and “Here Comes the Hotstepper”. For today’s music, I like stuff that incorporates some funk! “Cake By The Ocean” really does it for me.